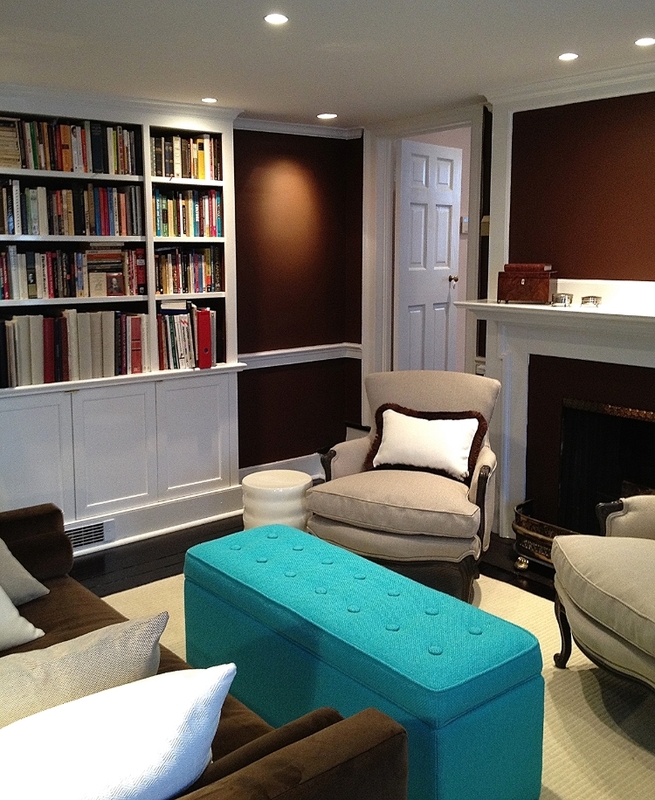 This historic Old Town home in Alexandria, VA was given a comfortably elegant interior design update that honored its past while also refreshing it with a classically modern sensibility using color, art, and richly textured fabrics. This historic Old Town home in Alexandria, VA was given a comfortably elegant interior design update that honored its past while also gracing it with a fresh, classically modern sensibility. Mixing existing furnishings with newer purchases, the space was carefully curated with the client, utilizing color, refinished surfaces, recessed lighting and new area rugs and fabrics that were rich in texture. 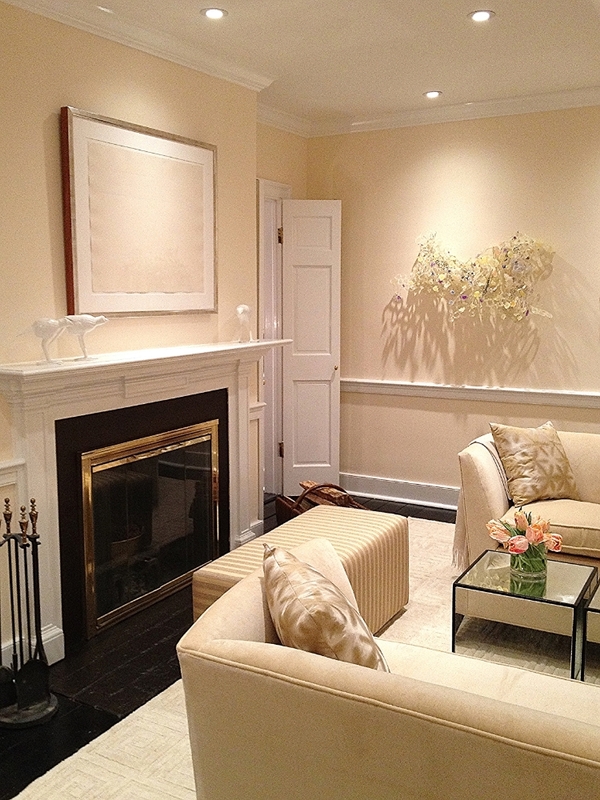 Art in the living room by Washington artists, Anne Truitt and Yuriko Yamaguchi. Area rugs from Safavieh. 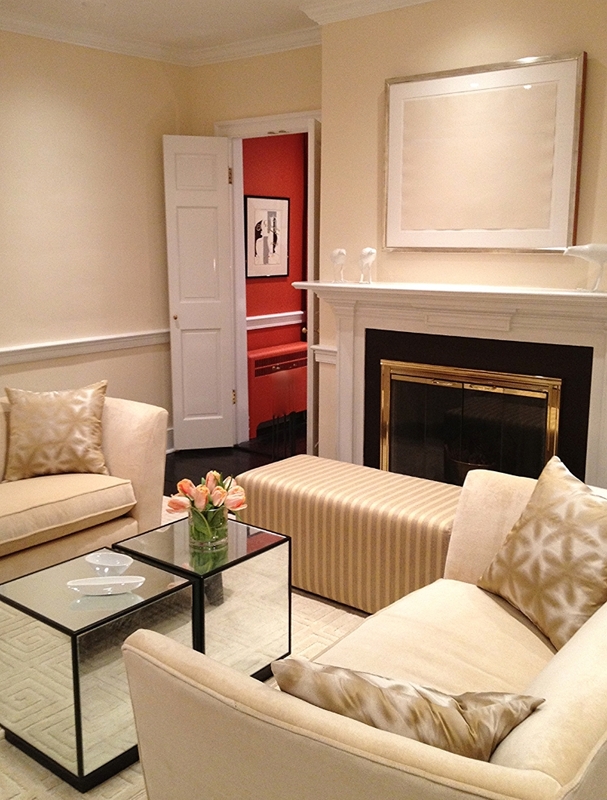 Loveseats and mirrored cubes from Mitchell Gold. Fabrics from Donghia, Pollack, Chivasso, Quadrille, Brunschwig & Fils and Bergamo.